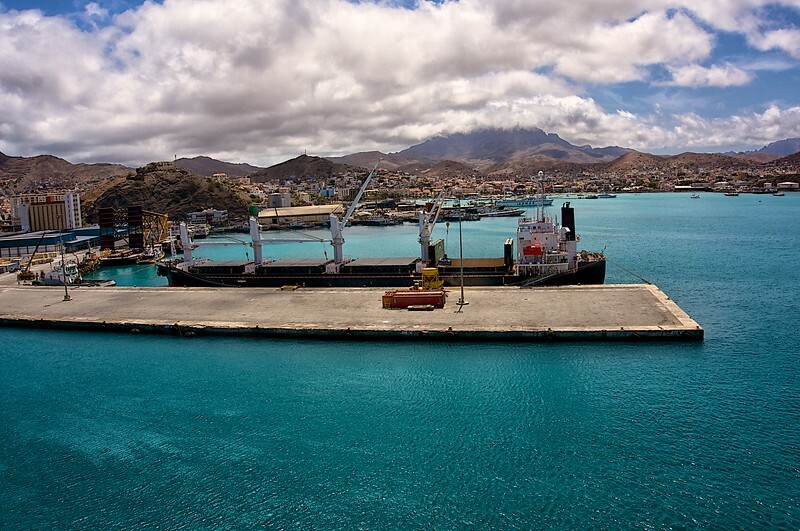 On April 15, 2014, found us in the port of Mindelo on another of the Cape Verde Islands, Sao Vincent. The ship was docked just outside of town at Porto Grande, so we decided to take the shuttle into town. Mindelo is a relatively small town and is easily explored in a couple of hours. The shuttle left us off at the Eagle Statue and from there we went up the small hill to the pink Governor’s Palace. We then came back down to the Municipal Market where mostly fruits and vegetables were sold. On our way down to the beach we passed the Señora de Luz Church. On the beach there was lots of activity with games and local fishermen cleaning their catch. In the evening we were treated to some music under the stars by the Sea View Pool.